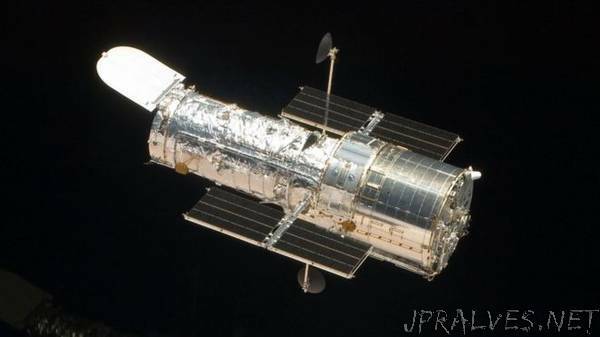 “The Hubble Space Telescope is operating with only essential functions after it lost one of the gyroscopes needed to point the spacecraft. The observatory, described as one of the most important scientific instruments ever created, was placed in “safe mode” over the weekend, while scientists try to fix the problem. After the gyro failure at the weekend, controllers tried to switch on a different one, but that was found to be malfunctioning. That leaves Hubble with only two fully functional gyros. At any given time, Hubble needs three of its gyroscopes to work for optimal efficiency. If the “misbehaving” gyroscope turns out not to work, the orbiting observatory may have to operate on one. This would conserve the remaining gyros for as long as possible, but would restrict the telescope somewhat. The James Webb Space Telescope (JWST) is Hubble’s designated successor, but it has experienced a series of delays and will not launch until 2021, at the earliest. Astronomers have recently been talking about how they can extend Hubble’s life so that it could continue to serve the astronomy community. “In many respects, James Webb is going to be very superior to Hubble, but not in every respect,” said Prof Tanvir. Gyros have been Hubble’s ‘Achilles heel’? Dr Osten implied the issues with the gyros were completely in line with expectations.